As a family owned and operated ranch, we strive to provide a quality experience. By preventing over-grazing and providing supplemental feed, we ensure animals are getting all the nutrition they need. And by allowing the animals to achieve mature age, they show their true genetic potential. Although we are high fenced, all native animals are original to the ranch. 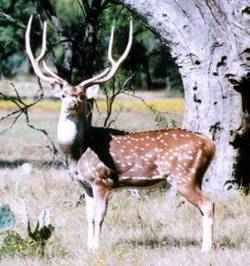 No outside genetics were brought in to “improve” the whitetail herd; therefore, our white-tailed deer are original and representative of the area. 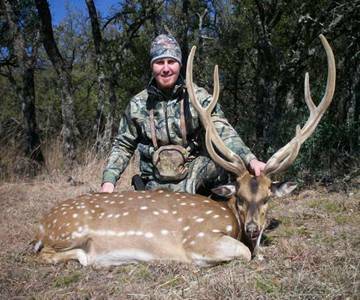 All trophy hunts include meals, lodging, and guide. Food for breakfast and lunch is provided, but you serve yourself. A hot meal is served to you after the hunt at night. Combination hunts are available. Call for prices. 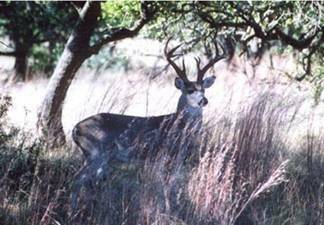 If you are interested in hunting with us, just call (325)643-5700 or email me for availability or reservations. 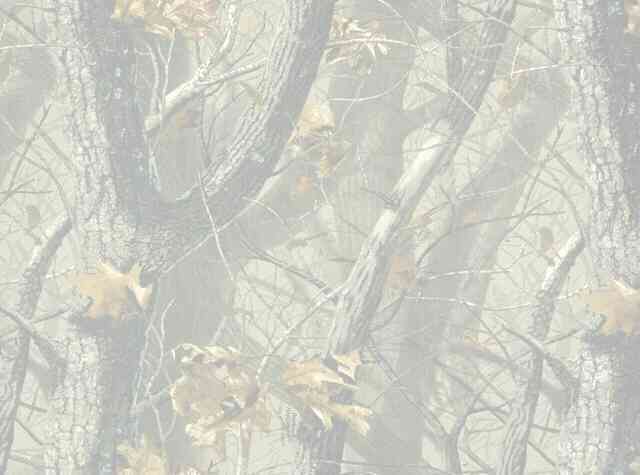 Click here for details on payment, hunting license requirements, processing, and taxidermy. 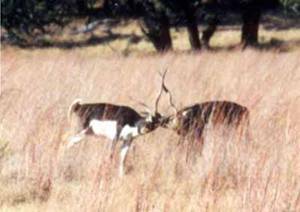 Click here for general hunting information. This is our largest axis taken to date. He scored 158 1/8 as a 6 point. He made gold medal minimum by 24”. Anything over 150 is considered super gold. A real monster axis buck. 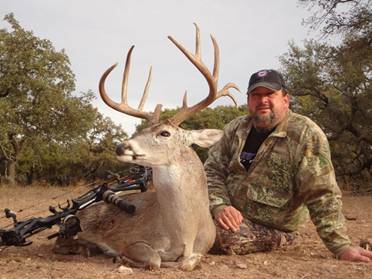 This is cool trophy buck we shot Dec. 2012. 145” 8pt w/ 2 kickers sticking back.